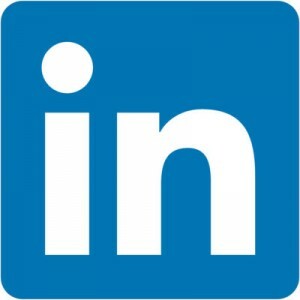 For anyone in the Commercial Real Estate market, LinkedIn is a must. It’s the place to be online for building connections, and networking with others in the industry and prospective tenants or investors. LinkedIn’s tools allow users to easily follow-up with ex-colleagues, share presentations, join industry-related groups, and publish content to a network of captive prospects. In short, it’s an ideal place for anyone in the business world, whether it’s to build new relationships, research new career opportunities, or recruit top talent. To best take advantage of what it offers, here are eight tips to boost your visibility on LinkedIn. Your profile photo is the first thing someone will see when they find you in search results, within an experts-group, or from a recent article or presentation you published. Make sure you have a professional headshot, from the shoulders up, smiling and well-lit. Don’t just reuse your image from Facebook – this one should be as professional as possible. On most social networks, the summary or about section is a throwaway. The rest of the profile does the talking for you. But on LinkedIn, this is as important as (if not more so than) your resume. It needs to speak to your expertise in ways that a bulleted list cannot. Be sure to include a detailed explanation of your skill set, highlight key deals you have made, and list other achievements in the industry. Be as specific as possible, backing up your claims with real results, driven by numerical data if possible. At the same time, your summary shouldn’t be a short novel. It should be concise and give someone everything they need to know in 3-5 minutes. For additional information, provide website URLs. Include sites that are most relevant to what you do, including a personal domain name if you have one, your company’s URL, or any of your property websites to give visibility to your active listings. LinkedIn is only as powerful as your network. Because you can only see content and connections 2-levels deep, you need as large of a network as possible. This should include past colleagues, business partners, tenants and investors from previous deals, and anyone else you have done business with. Not only does this ensure those people are more likely to see updates you make, it will create potential connections with an extended network of professionals that know these people. If you have a LinkedIn profile, you’ve likely received endorsements. These are quick “thumbs-up” approvals of a skill you claim to have. LinkedIn will provide an interface to rapidly add endorsements to people in your network, or you can visit their profile and review the list of skills they claim to have. On their profile, your face will now appear next to the skill as someone who has endorsed them. At the same time, when they receive notification of your endorsement, LinkedIn will prompt them to return the favor. You’ll receive updates on a regular basis from your network – posts people share, changes they make to their profile, new jobs people start, Pulse Articles they publish, and much more. These will appear under your notifications feed. As often as possible, leave a quick comment or like when you see one of these updates. It keeps you engaged with your network and builds a stronger relationship with those people. It also ensures they are more likely to see, read, and respond to your updates when you send them out. To streamline this process, consider the LinkedIn suite of mobile apps – these make replying much quicker. On most social networks, sharing a post doesn’t do much. A percentage of your personal network will see it and possibly comment. If it’s a funny photo or an important event in your life you may get a good number of likes, but rarely will it spark an ongoing conversation. This is where LinkedIn can separate you from the pack. Regular status updates are important to be sure, but Published Posts on the Pulse network are much more. These are essentially blog posts shared with your LinkedIn network. The best part? A notification will be sent to your network when you post a new Pulse article, and when someone engages with the content, it will be shared with their network. It’s possible for a short article showcasing your expertise to go viral on LinkedIn and drive significant traffic to your profile. While not as likely to reach a large audience of new people, regular status updates are a must for your profile. These updates allow you to engage with the people already in your network. The key is to share a mixture of relevant news, market information, personal updates, and success stories from your network. This positions you as a thought leader on the industry, provides a valuable reason for people to engage with you on LinkedIn, and can help build your network. Finally, there are LinkedIn Groups. These are (sometimes) private groups where people discuss topics related to their industry, expertise, or interests. The best groups have thousands of people with similar interests and needs, and offer a chance for you to provide real value to people who have indicated they need the knowledge you have. Better yet, they are good places to share valuable offers, marketing materials, and upcoming events. As a marketing platform, LinkedIn is extremely powerful when utilized to its fullest. There are several ways to boost visibility on the site, and when used together, you can generate the kind of interest not possible on other networks without paying for it. Bob Samii is the founder of SharpLaunch, a fully-integrated CRE marketing platform for building owners and brokers. Good write up on linkedin. Just came across your blog and am glad to see a site dedicated to technology for CRE. The ability to search as a premium account to prospect to different real estate decision makers is a huge benefit! LinkedIN has been a great lead source and contact discovery tool.